Has ombudsman led to greater accountability in policing? 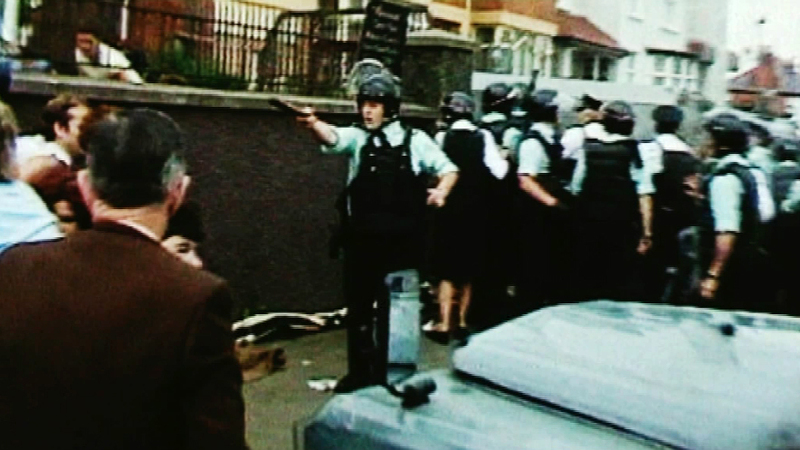 MORE than 300 members of the RUC were killed during the Troubles but throughout that period many nationalists refused to support the force because of persistent allegations of collusion and sectarianism. As the peace process developed in the mid 1990s the need for a Police Ombudsman was first mooted by former senior civil servant Maurice Hayes. Dr Hayes, who has also been a former chairman of the Community Relations Council (CRC), was tasked with coming up with a blueprint for a police watchdog which could gain the confidence of both communities as well as police officers themselves. In 1997 he delivered a report which recommended the establishment of an Ombudsman’s office to deal with complaints against the police. When the Patten Commission was established in 1998 to draw up a new beginning for policing in Northern Ireland one of the first things it did was to adopt Dr Hayes’ report in full. The commission included local academics as well as international experts, including Boston police chief Kathleen O’Toole. The former detective openly admits she was not prepared for what passed for policing when she first arrived in Northern Ireland in the mid 1990s. She said: “I was asked in 1996 to come to Northern Ireland to give a series of lectures on community policing and when I arrived, then deputy chief constable Ronnie Flanagan, offered me the opportunity to go out and see the established community policing team in west Belfast. “`I went out to see the newly established community policing team at North Queen Street. “Somewhat naively I went to the station thinking that I’d walk a beat with police officers, visit merchants, visit residents and all of that. 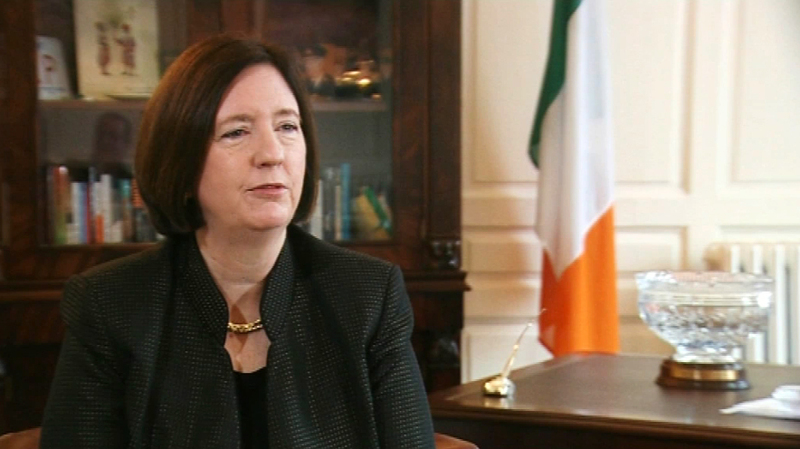 Describing her appointment to the Patten Commission as a “baptism of fire”, she recalls: “The first reaction of course was by the unionist community because they presumed that (the) O’Toole woman from Boston would be a republican sympathiser. As part of its work the Patten Commission held a series of public meetings across Northern Ireland to gauge support for policing. Recalling the raw emotions the issue provoked, Mrs O’Toole said: “Those 40 meetings we did out in the community were very informative. “We went into unionist neighbourhoods where, particularly (in) DUP neighbourhoods people resented the commission. The commission witnessed equally strident opposition in republican areas. Ms O’Toole said: “We met with the Devenney family, the daughters of Sam Devenney (who died three months after being beaten in an unprovoked attack by RUC officers inside his home in Derry in July 1969) who explained in graphic detail the horrendous experience that they had (gone through) as young children. Insisting that the establishment of an Ombudsman’s office was only one part of a wider process to improve policing, Dr Hayes explained: “It was all about how you restored public confidence in the police by making the police accountable, not only to the law but to the general norms of human rights and behaviour. “At the time I brought in the report I made it clear that it was only one part of the jigsaw and that what accountability and public confidence the police required were three things. “It required a look at how the police were made accountable to the broader society through the political system. “Secondly, how the police organised themselves. “And thirdly how you dealt with complaints. However. the Patten Commission had not envisaged the Ombudsman having to investigate Troubles-related deaths. That task was only added to its remit in 2001 after the European Court ruled the British Government had failed to properly investigate a series of security force killings. The decision led to the office becoming embroiled in a series of political rows. Police Ombudsman Al Hutchinson has warned that the financial and staffing cost of investigating historic cases is having a serious impact on his ability to probe current complaints. Victims’ families have complained that they are having to wait up to eight years for the Ombudsman to complete its investigations and some question whether the delay is politically motivated. But Dr Hayes remains unconvinced the investigation of historic cases is the best use of the Ombudsman’s resources. He said: “If people want to investigate past events I think they should do that through the Historical Enquiries Team (HET) or something like that, rather than keep tasking the Ombudsman with it. “The more resources you spend on digging up the past the fewer you have for dealing with the present. “Really the Ombudsman was intended to deal with present and immediate things and to give people a ready response and a ready answer to individual and present excesses. However, the former Boston police chief accepts society does need to deal with the past. She said: “As an outsider it’s very difficult for me to comprehend the incredible pain that people have felt over the past 30 or 40 years. “I think people need to deal with that pain and I think different people deal with it in their own ways. “If some get comfort from going to the Ombudsman then fine, that’s one alternative. “But I do understand that there will be another school of thought that will say, ‘Put the past behind us, we need to move forward’. “I don’t know if I’d lost a son, or a husband or a loved one in the violence I’m not so sure I’d be able to let it go that quickly. “I think we need to separate the emotional from the administrative. “Administratively I can certainly understand how difficult it is to create a system, or to manage a system with all of those historical cases. “I imagine that’s very difficult for Al Hutchinson. “That’s a challenge, but still people in Northern Ireland have to deal with their grief and I guess I’m not in a position to say how that should happen. Despite their differences, both commissioners believe the establishment of an Ombudsman’s office has played a key role in changing the face of policing in Northern Ireland. Ms O’Toole said: “Chris Patten always said we’ll go where the truth takes us. “We tried to step aside from the politics and create a model for policing in Northern Ireland that I think is second to none. “It’s a model for policing in a democratic society. “Northern Ireland is a wonderful place, I think the people are very resilient. “It’s amazing to me that so many people have suffered yet they still maintain their great sense of humour. “I think it’s an incredible place, it’s a great example to the rest of the world. “Look how much has happened in the last 10 to 15 years. “It’s remarkable, even as one who contributed to the Patten Commission’s work. “I never imagined that things would progress as quickly as they have. As for the architect of the Police Ombudsman’s office, Dr Hayes concluded: “If you were to ask me, as you do, whether the work has succeeded, yes, I think it has. “I think it has made a difference, but only because other things have made a difference as well.